My current batch of ebay auctions are in their final day, so if you want to grabs yourself some signed and very exclusive Transformers goodies, now’s the time to register your bid. All my current items for sale can be viewed here. 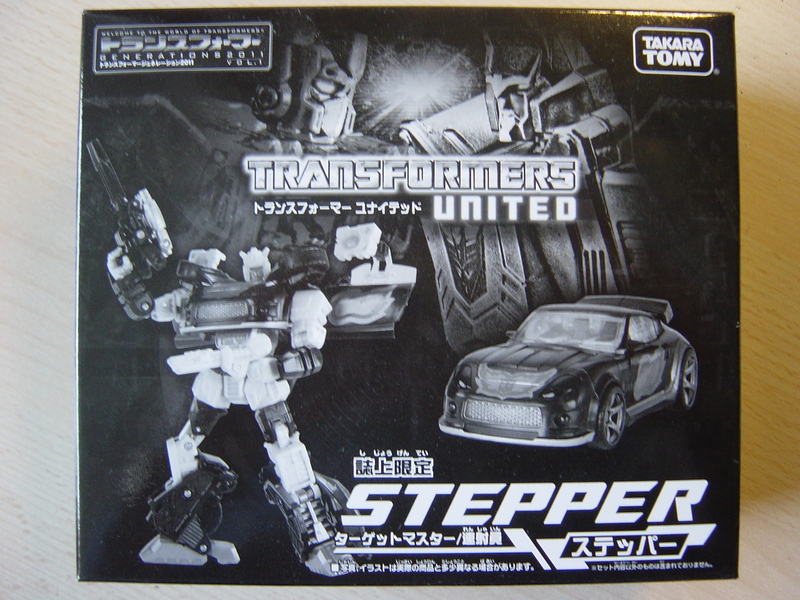 Just thrown a whole lot of rare/collectable/signed Transformers items up on ebay, everything from original scripts, comics, annuals, graphic novels to an ultra-rare Japanese Stepper toy and the Generations issue with my Stepper story in it. There are some genuine rarities among the cover variants and exclusive items on offer, so head on over now. You can view all the items currently under the hammer here. Happy bidding! April 27-29th: Botcon 2012, Dallas. I’ll be attending the premier US Transformers convention, where I’m to be inducted into Hasbro’s Transformers Hall of Fame. May 5th: on Free Comic Book Day, I’ll be signing at Orbital Comics, London, along with the rest of the Regeneration One team. May 19-20th: now in its second year, Mark Millar’s Kapow comicon features over 50 guests, and somewhere among them will be me. 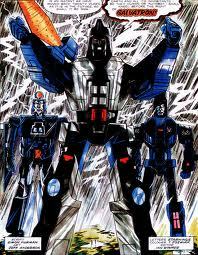 July 22nd: C.O.N.S., the German Transformers convention has invited me back for a second year. Come along and see ace rock band Rampage! 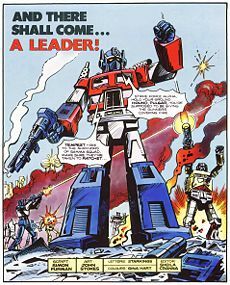 Aug 3-5th: the UK’s flagship Transformers convention, Auto Assembly, at which I’m a bit of a fixture and fitting these days. Now in a great new location. Sept 2nd: Nor-Con, a great little sci-fi and comic convention in Norwich. Me, Barry Kitson, a couple of Doctor Whos, and many more. Nov TBC: Auto Assembly Europe moves across Sweden from Uppsala to Malmo, and it’s taking me with it. So is that it for 2012? Probably not. Keep watching for more calendar updates soon! On Saturday May 5th, Free Comic Book Day, the entire Transformers: Regeneration One team will be in Orbital Comics, in London, signing RG1 #80.5, the much-awaited continuation of the original Marvel series that ended back in 1991. So that’s me, Andrew Wildman, Stephen Baskerville & John-Paul Bove, all poised to sign your — FREE — copy of #80.5. Does it get much better than that? The signing runs from 12-2PM, so make sure you’re there to grab your copy. The FCBD issues tend to go fast! For more details and how to find Orbital Comics, check out their website here. UPDATE: There’s also a segment of me talking about Regeneration One on the Orbital podcast, here. Episode 58, around the one hour 47 min mark. After that somewhat downbeat last item, some extremely good news. Hurrah! I’m very proud and honoured to inducted into Hasbro’s Transformers Hall of Fame this year. 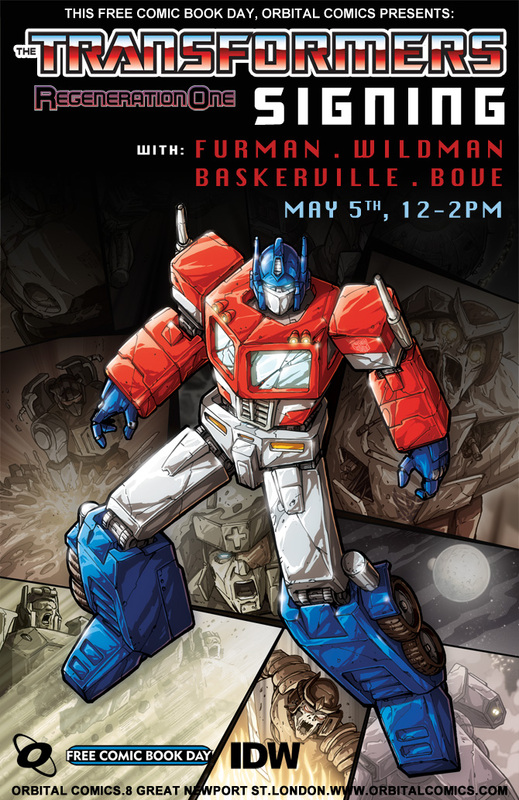 I’ll be joining such TF luminaries as Peter Cullen, Bob Budiansky, Michael Bay and Steven Spielberg in the Hall of Fame, with the official induction event happening at this year’s Botcon convention in Dallas, Texas on Saturday April 28th. Which of course means I’ll be attending this year’s Botcon, which runs in its entirety from April 26th-29th. So no doubt there’ll be signings, etc. If you’re so inclined, you can also go check out the official Hasbro news item about this year’s (human) Hall of Fame inductees! 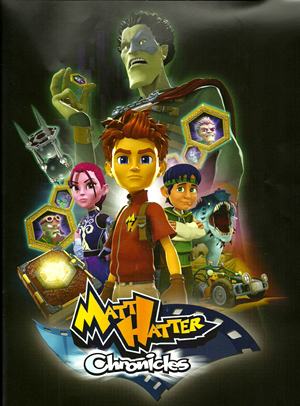 Matt Hatter Chronicles, the new animated TV show I’ve been writing for and script supervising on, makes the leap from cable (Nick-Toons) to terrestrial (ITV) this coming Sunday, March 11th, at 7.30AM (I know! Set the video!). The series kicks off with the pilot episode, ‘Knights of the Multiverse’, which — by coincidence — I wrote with series creator Nigel Stone. To view ITV’s trailer for the show, click the link here. You are currently browsing the simon furman blog archives for March, 2012.